Sometimes Insurance planning will fail. People do take life insurance and health insurance etc to protect themselves from financial loss due to unexpected death or health issues etc. For this, they do Insurance Planning. Insurance planning also part of Financial Planning. Therefore, I have added this article in Financial Planning category. But sometimes this Insurance planning will fail. Recently I had a discussion with a Government Employee. He is working in Andhra Pradesh State Government. They have mandatory Department Life Insurance called APGLI. In the conversation, he said that If Life Insurance Policy of Lic or any private Life Insurance company gets lapsed, those companies are not giving claims arisen after the grace period date. This is happening in health insurance and General Insurance also. In addition to this, he also said that their APGLI policy will not have lapsed even in case premium not paid for years. Hence, Andhra Pradesh Government Employees death claim will be settled even all premiums are not paid ( but their LIC policies premiums need to be paid in time). There few reasons for it to happen, the insured person may be unconscious due to health issues for a few days to months. If the due date for the insurance premium comes when he is unconscious, due to lakh of awareness of the importance of paying the premium on time among other family members, they may neglect to pay the premium. As a result of this, health insurance or life insurance will get lapsed, and the claim will be rejected when there is a death or health issue for the policyholder. Sometimes policyholder himself due to lack of financial discipline may be out of money to pay the insurance premium at the time paying the premium. In this case, also policy will lapse. As a result of this claim will be rejected when there is a financial loss due to death or health issues etc. If you following strategies your Insurance Planning will not fail. 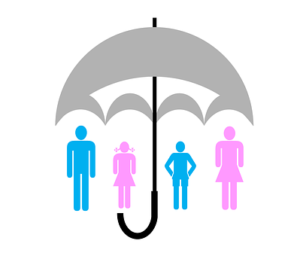 Discuss your insurance planning and its benefits with your family members wife, children, and parents. Ask them to pay all insurance premiums even in case you are unconscious. Be discipline yourself and start Postal Rd or Bank Rd or Monthly sip in the liquid fund for the purpose of paying premiums for all your insurance policies on time. After doing all these things also you may forget to pay the insurance premium on time. Hence ask your credit card provider to pay all your insurance policies automatically every year. These days almost every credit card provider providing this facility of automatic premium payment. Not only the above things, But You also have to plan your insurance planning right. For this Sebi, Registered Investment Adviser will be a great idea. Read this article about Sebi Ria. Click here to read. Also, read the Human Life Value method to plan your life insurance in the article. Click here to read. Also, read the article about the agent, bank, Mutual Fund distributor and Sebi ria- Who is best for you?. Click here to read. If You are State Government Employee in Andhra Pradesh and Telangana, then you must read this article about The truth behind APGLI/TSGLI interest rate on the premiums paid. click here to read.